April showers are known to bring May flowers. This April, BOOM! Studios will also use the month to bring a slew of new, volume 1 trade paperback collections to readers. April 2015 will see the trade paperback releases of Lumberjanes Vol. 1, Bee and PuppyCat Vol. 1, Translucid (complete miniseries), Clockwork Angels (complete miniseries), Thomas Alsop Vol. 1 and Cow Boy Vol. 1: A Boy and His Horse, its first time in softcover. Lumberjanes Vol. 1 TP collects the hit series from the BOOM! Box imprint that features five rad ladies who fight monster baddies with the power of friendship. Written by Noelle Stevenson and newcomer Grace Ellis, and illustrated by Brooke Allen, this new series has taken comics by storm and has placed on many best-of-the-year lists. Lumberjanes Vol. 1 TP collects issues #1-4. Bee and PuppyCat Vol. 1 TP broke the record for the most-funded web series campaign on Kickstarter, and now popular creator Natasha Allegri, Garrett Jackson and more bring their whimsical adventures to comics for the first time. This quirky take on the magical girl genre comes to life with Bee, a not-so-graceful temp worker, and her partner Puppycat, the sour curmudgeon who helps her pay rent. Bee and PuppyCat Vol. 1 TP, published under the KaBOOM! imprint, collects issues #1-4. Translucid Vol. 1 TP allows readers to discover the tortured psyche of a superhero, a story from Coheed and Cambria frontman Claudio Sanchez and co-creator Chondra Echert, the writers behind The Armory Wars saga, Key of Z and Kill Audio. The psychedelic superhero mindscape is brought to vivid life by artist Daniel Bayliss and colorist Adam Metcalfe. We call The Navigator a hero. 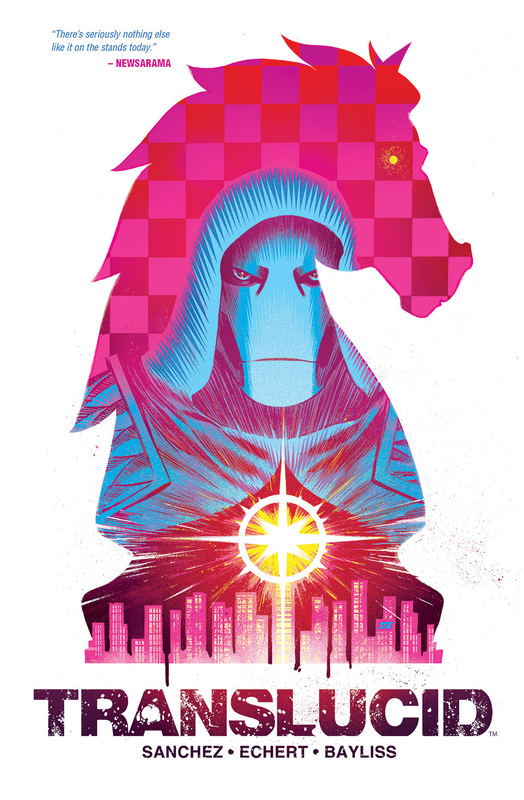 We call The Horse a villain. The two have been locked in a battle for years, fighting for the soul of New York City. But are they just two sides of the same playing card? Translucid is a startling deconstruction of the classic bond between a hero and his villain, and shows what it takes to push a person to take up either mantle. Translucid TP collects the entire miniseries, issues #1-6. Rush's Clockworks Angels TP is a testament to the band’s creative versatility—from concept album to novel to international tour. 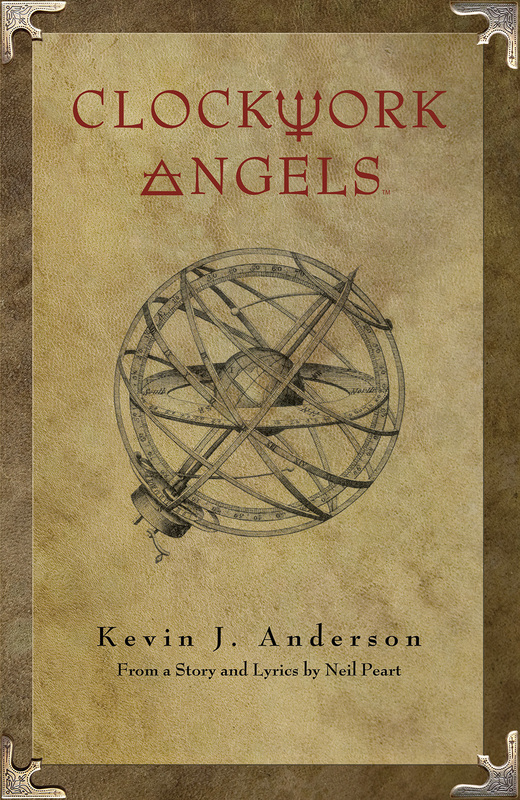 Now, Rush drummer and lyricist Neil Peart, New York Times bestselling author Kevin J. Anderson, and newcomer artist Nick Robles take it one step further with the Clockwork Angels graphic novel. Owen Hardy, like all the people of Albion, has lived his whole life under the rule of The Watchmaker. His entire existence is meticulously planned, down to the exact second. But not any more. Owen decides to go against the gears and finally start making decisions for himself. Featuring a new cover by Hugh Syme, the Clockwork Angels TP collects the complete miniseries, issues #1-6. In Thomas Alsop Vol. 1 TP, Chris Miskiewicz and Palle Schmidt have created a warlock for these modern times. Fans of John Constantine and Dr. Strange will love this new take on the magic-wielding hero who battles demons on the streets...and in his own mind. What would you do if you had the magical ability and responsibility to protect the island of Manhattan from supernatural forces of evil? Well, if you’re Thomas Alsop, you get a reality television show and make some money off of it. 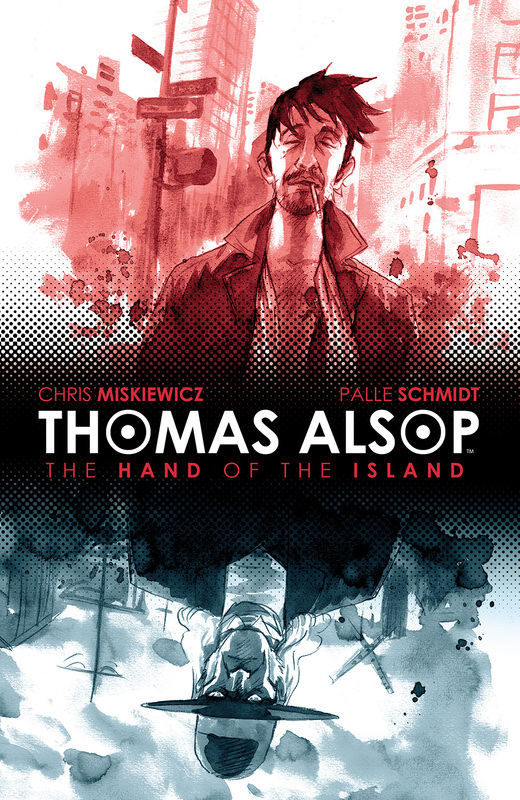 Thomas Alsop Vol. 1 TP collects issues #1-4. 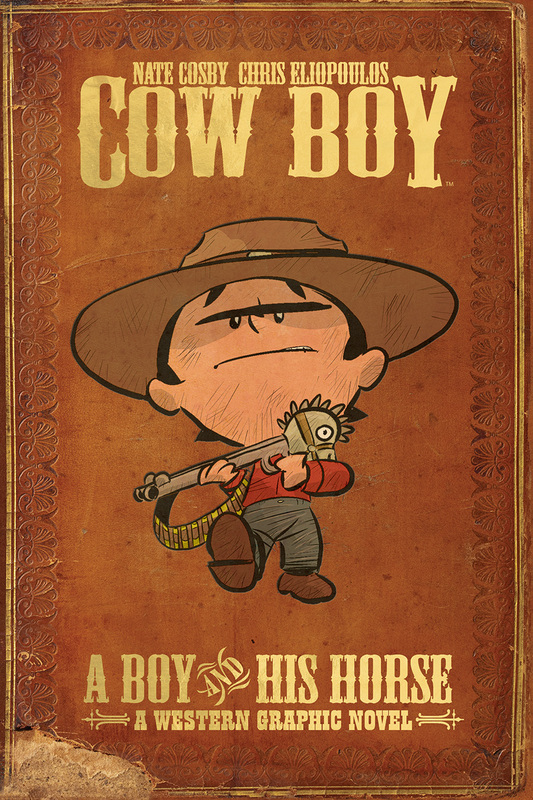 Finally, Cow Boy: A Boy and His Horse TP is written by Nate Cosby and illustrated by Chris Eliopoulos. The Eisner Award-nominated Cow Boy: A Boy and His Horse is collected in softcover for the first time. Boyd Linney ain’t no ordinary 10-year-old. This here is the tale of the young bounty hunter, determined to round up his whole outlaw family. He travels across the Old West on an unstoppable quest to put his entire family in the clink—or die tryin’. This original graphic novel from the Archaia imprint also includes short stories by Roger Langridge, Brian Clevinger and Scott Wegener, Mike Maihack and Colleen Coover. February 23, 2015 (Los Angeles, Calif.) - This Spring, April showers bring a tower of BOOM! Studios collections as the award-winning publisher and its imprints will release five new trade paperbacks of critically acclaimed series from 2014 and one long-awaited reprint of an award-winning Archaia original graphic novel. April 2015 will see the trade paperback releases of Lumberjanes Vol. 1, Bee and PuppyCat Vol. 1, Translucid (complete miniseries), Clockwork Angels (complete miniseries), Thomas Alsop Vol. 1, and Cow Boy Vol. 1: A Boy and His Horse, its first time in softcover. 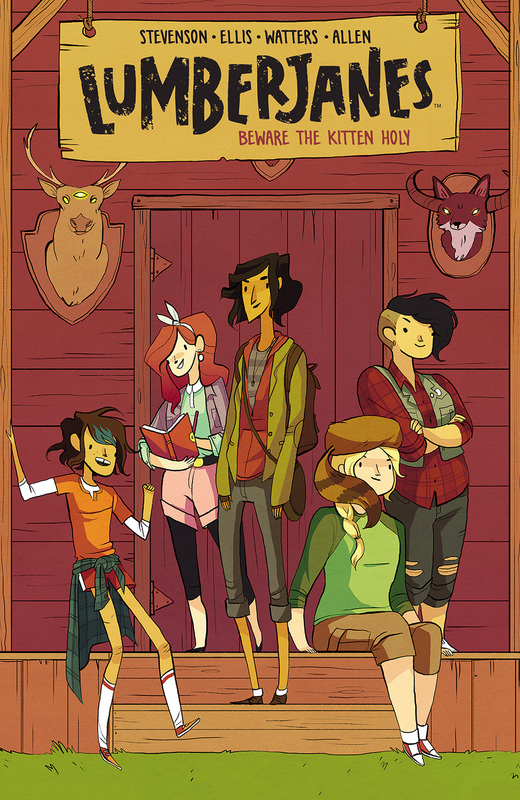 Lumberjanes is the hit series from the BOOM! Box imprint that features five rad ladies who fight monster baddies with the power of friendship! Written by Noelle Stevenson (Nimona, Adventure Time) and newcomer Grace Ellis, and illustrated by Brooke Allen (A Home for Mr. Easter), this new series has taken comics by storm and has placed on many best-of-the-year lists, including Comics Alliance, Entertainment Weekly, and Comic Book Resources. Lumberjanes Vol. 1 TP collects issues #1-4. Bee and PuppyCat broke the record for the most-funded web series campaign on Kickstarter, and now popular creator Natasha Allegri (Adventure Time with Fionna and Cake), Garrett Jackson, and more bring their whimsical adventures to comics for the first time. This quirky take on the magical girl genre comes to life with Bee, a not-so-graceful temp worker, and her partner Puppycat, the sour curmudgeon who helps her pay rent. 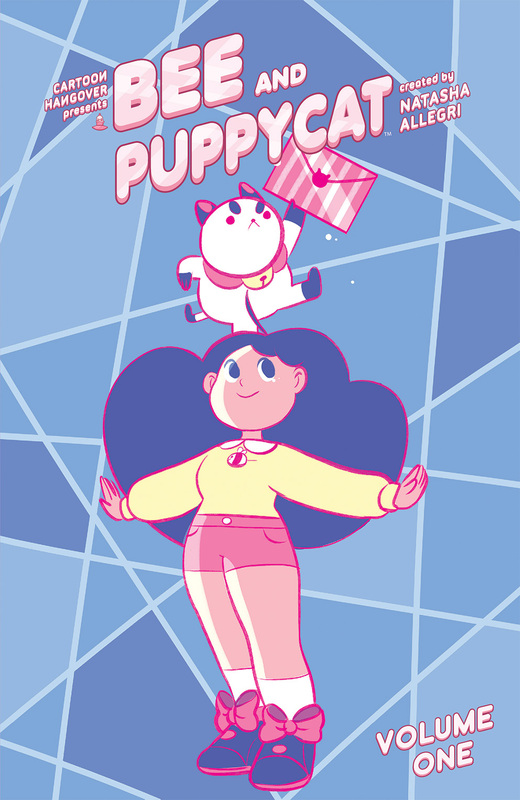 Bee and PuppyCat Vol. 1 TP, published under the KaBOOM! imprint, collects issues #1-4. Discover the tortured psyche of a superhero in Translucid, a story from Coheed and Cambria frontman Claudio Sanchez and co-creator Chondra Echert, the writers behind The Amory Wars saga, Key of Z, and Kill Audio. The psychedelic superhero mindscape is brought to vivid life by artist Daniel Bayliss and colorist Adam Metcalfe. We call The Navigator a hero. We call The Horse a villain. The two have been locked in a battle for years, fighting for the soul of New York City. But are they just two sides of the same playing card? Translucid is a startling deconstruction of the classic bond between a hero and his villain, and shows what it takes to push a person to take up either mantle. Translucid TP collects the entire miniseries, issues #1-6. Rush’s Clockwork Angels is a testament to the band’s creative versatility—from concept album to novel to international tour. Now, Rush drummer and lyricist Neil Peart, New York Times bestselling author Kevin J. Anderson, and newcomer artist Nick Robles take it one step further with the Clockwork Angels graphic novel. Owen Hardy, like all the people of Albion, has lived his whole life under the rule of The Watchmaker. His entire existence is meticulously planned, down to the exact second. But not any more. Owen decides to go against the gears and finally start making decisions for himself. Featuring a new cover by Hugh Syme, the Clockwork Angels TP collects the complete miniseries, issues #1-6. In Thomas Alsop, Chris Miskiewicz and Palle Schmidt have created a warlock for these modern times. Fans of John Constantine and Dr. Strange will love this new take on the magic-wielding hero who battles demons on the streets...and in his own mind. What would you do if you had the magical ability and responsibility to protect the island of Manhattan from supernatural forces of evil? Well, if you’re Thomas Alsop, you get a reality television show and make some money off of it, that’s what! Thomas Alsop Vol. 1 TP collects issues #1-4. Written by Nate Cosby (Jim Henson’s The Storyteller, Pigs) and illustrated by Chris Eliopoulos (Hawkeye, Franklin Richards), the Eisner Award-nominated Cow Boy: A Boy and His Horse is collected in softcover for the first time. Boyd Linney ain’t no ordinary 10-year-old. This here is the tale of the young bounty hunter, determined to round up his whole outlaw family. He travels across the Old West on an unstoppable quest to put his entire family in the clink—or die tryin’. This original graphic novel from the Archaia imprint also includes short stories by Roger Langridge (Jim Henson’s The Musical Monsters of Turkey Hollow, Abigail and the Snowman), Brian Clevinger and Scott Wegener (Atomic Robo), Mike Maihack (Cleopatra in Space), and Colleen Coover (Bandette). All of these titles are available for pre-order through your local comic shop now. Not sure where to find your nearest comic retailer? Use comicshoplocator.com or findacomicshop.com to find one! They’re also available for pre-order from your favorite bookseller or directly from boom-studios.com.